Rio Tinto Alcan has donated 156 acres (63 hectares) of waterfront land on Minette Bay to the District of Kitimat, Gaby Poirier, RTA General manager BC Operations, said Wednesday, November 12, 2014. It’s a major step in getting people in Kitimat access to the waterfront which is being closed off by industrial development. In a news release, Poirier said. 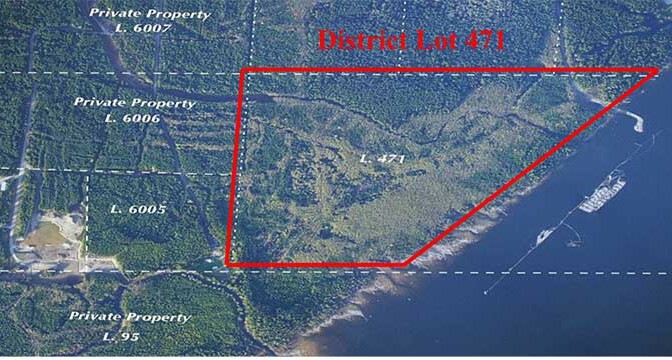 It is with great pleasure that Rio Tinto Alcan confirms today a gift to the people of Kitimat of approximately 56 acres of water front land that make up District Lot 471, located in Minette Bay. For more than half a century Rio Tinto Alcan has participated with pride in the development of Kitimat and Northwest British Columbia. In the 1950’s Rio Tinto Alcan developed a company town from mostly undeveloped land. Today it is a mature, vibrant, and highly liveable northern community. We are very proud of our involvement in making this happen. Now, 60 years later, a new era of industrial development is on our doorsteps. Rio Tinto Alcan’s BC Operations is looking forward to having new neighbours beside us near the smelter site and port terminals. It is important now, more than ever, to ensure the people of Kitimat continue to have direct ocean access. To that end, Rio Tinto Alcan is pleased and committed, in this our 60th Anniversary year, to transfer ownership of the water front lot DL 471 to the District of Kitimat in trust for its citizens use for all time. If the Shell-led LNG Canada project goes ahead, with LNG Canada taking over the old Eurocan dock (it already owns the old Methanex dock), that means Rio Tinto Alcan would have to expand its port facilities at “Terminal A” (the original port) and that would cut off access to Hospital Beach which has been the only beachfront available to residents since the 1950s. Even with David Black’s proposal for an oil refinery on a hill 25 kilometres north of Kitimat, residents here know that the Enbridge Northern Gateway debate has gone on for years and will go on for many years to come. As environmentalists worldwide celebrate the beauty of Douglas Channel, and decry the dangers that tanker traffic could pose to the channel, many people in Kitimat are cut off from the waterfront. At the District of Kitimat Council meeting on August 7, Coun. Mario Feldhoff introduced a motion calling for a study in an effort to find ways to launch kayaks into the ocean. Yes that’s right, according to members of council, you can’t even drop a kayak into the waters of Douglas Channel unless you pay the kind marina a launch fee usually charged for larger fishing boats. Kitimat is down to only one expensive boat launch. In 2010, there were three marinas in Kitimat: one privately operated at a place called Moon Bay, a large marina owned by the Kitimat Stikine Regional District at MK Bay and a small marina at Minette Bay, also the site of a log export operation. There was also a boat launch on land known as “Alcan beach” or “Hospital Beach” on property owned by Rio Tinto Alcan (RTA) near the aluminum smelter. Hospital Beach is the only beach in Kitimat (named because it is on the site of the town’s original hospital in the 1950s). Moon Bay was located on land owned by RTA, and in April 2010, it ordered the marina shut down. According to RTA spokesperson Colleen Nyce, that was largely due to concerns about how the marina was being operated. Some people who moored their boats at Moon Bay moved to MK Bay (if there was room). Others hauled their boats out of the water and parked them in their driveways. In the ensuing two years, there have been increasing stories about mismanagement at MK Bay and complaints about moorageand launching fees that are much higher than elsewhere in the province. The Rio Tinto Alcan site is now a full fledged construction zone with constant vehicular and heavy duty construction traffic. To that end, and as Rio Tinto Alcan representatives have always said, during construction we will take necessary steps to eliminate potential hazards to the general public on our road including access to Hospital Beach. Therefore, Hospital Beach will be closed to the public until construction is complete or until we believe it is more safe for public access. Before access was closed, if a Kitimat resident was driving to Hospital Beach, they pass what was once a rough logging road that snaked its way along the shores of Douglas Channel toward Bish Cove. Now Bish Cove is the site of the Kitimat LNG project terminal. As part of the construction process, KM LNG upgraded the road. However, as the pace of construction increases KM LNG is now limiting access to the road and its views of the channel. Why is there no access to the waterfront, or for that matter to the magnificent Kitimat River estuary? It goes back to 1950 when the province of B.C., in a loosely worded agreement with what was then Alcan and in an equally non-specific Industrial Development Act, handed over the land where Kitimat is now to the company. That included almost all the waterfront and the estuary. 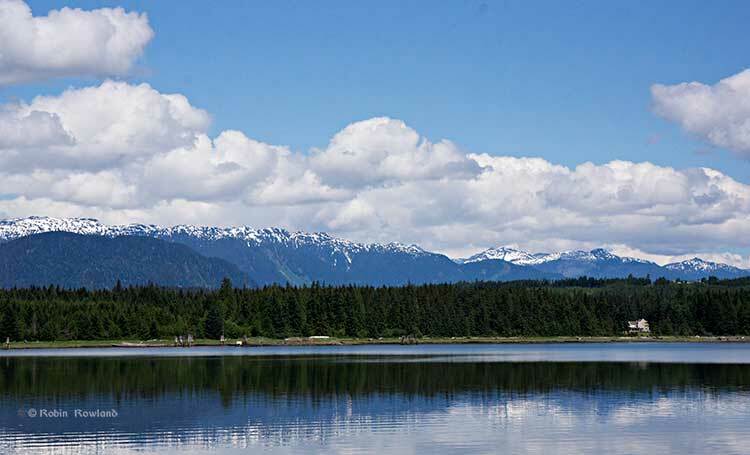 On the estuary, there is one small area of land that is a reserve for the Haisla Nation and one small area not in RTA domain owned by the District of Kitimat — but there is no right of way through a potential private development. Over the years, and especially since Rio Tinto took over Alcan, there have been more and more restrictions placed on access to Kitimat’s waterfront. Restricted access has become such an important issue that it came up during the National Energy Board hearings on the Kitimat LNG project and was part of the NEB ruling granting KM LNG its export licence. Access to Kitimat’s waterfront is also a factor in the Enbridge Northern Gateway project, although that part is lost in all the bigger issues. The fact that you can’t get to the waterfront and the estuary are a problem not only for community recreation; the inability for a resident or visitor to launch a kayak or small boat into the channel, much less larger fishing or recreational vessels, has put the brake on expansion of Kitimat’s already lucrative fishing, guiding and boating services. There is already a lot of skepticism in Kitimat — due to the boom and bust of the industrial cycle — about all those promises of jobs and prosperity from industrial development. Restricted access to the ocean means that despite the growing number of jobs in Kitimat, corporate policy makes it hard to enjoy the benefits of living on the Douglas Channel. It is the kind of externality that is always ignored by economists and is totally irrelevant to those business writers who claim to be experts in Kitimat but who have never been within 1,000 kilometres of the town. You look out your window at the mountains and ocean of Douglas Channel and ask why can’t the residents and tourists go to the beach? That could be a key issue in the Enbridge Northern Gateway debate.